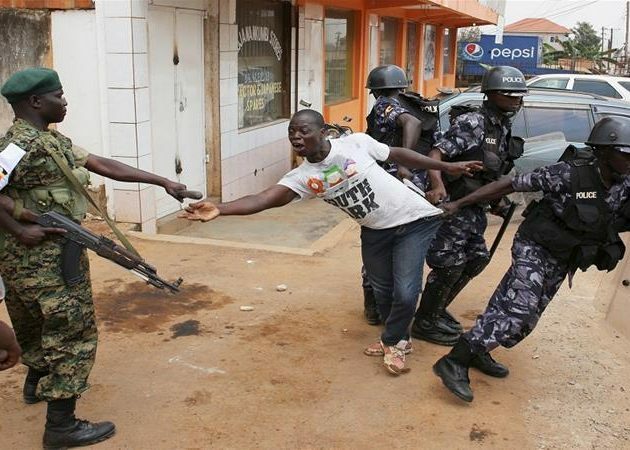 Al jazeera — Ugandan rights activists say grisly images of the torture of a detained politician showing septic wounds on his body highlight escalating brutality and impunity by the country’s security personnel. President Yoweri Museveni, 72, has often expressed support for his top police boss, whom he has praised for helping contain protests against his government. Police spokesman Asan Kasingye said two security personnel had been arrested in connection with Byamukama’s torture but gave no further details. “We do not condone torture … it is not our method of work,” he told Reuters news agency. Sarah Birete, programme director at the Centre for Constitutional Governance, disagreed. Some government critics have pointed to rivalry among various top security officials and said the murder was possibly an assassination by Kaweesi’s enemies within the police. Museveni, in power since 1986, won reelection last year in a disputed poll that several international observers said lacked credibility and transparency.